Hillary Clinton is surrounded by suggestions of controversy. Terms like "Clinton Foundation," "email server," and "Benghazi" hover around her like a faint smoke that hints at the existence of fire. But finding the fire -- the lie, the misdeed, the unethical act -- is proving to be rather difficult, as evidenced this week by an inaccurate tweet and arguably misleading story from the Associated Press that were quickly rebutted by the Clinton campaign and dismissed by many media outlets. "The AP's social-media take on the story was seriously flawed," David Boardman, the Dean of the School of Media and Communication at Temple University and former editor of the Seattle Times, told CNNMoney. "It's sloppy, click-grabbing shorthand that is a disservice to the reporting to which it refers." On Tuesday, the AP sent out a breaking news alert: "BREAKING: AP analysis: More than half those who met Clinton as Cabinet secretary gave money to Clinton Foundation." Not true: As the article stated, what the AP found was that "more than half the people outside the government" who met with Clinton while she was secretary of state "gave money — either personally or through companies or groups — to the Clinton Foundation." This "extraordinary" finding, as the AP put it, was deemed less extraordinary by other journalists and pundits who noted that Clinton had held thousands of meetings with government employees, foreign representatives, civil leaders, journalists and others while Secretary of State that were not accounted for in the AP's report. Nevertheless, the AP's tweet allowed Donald Trump to stand on stage at a campaign rally and declare that "fifty percent of people who saw [Clinton] had to make a contribution to the Clinton Foundation." 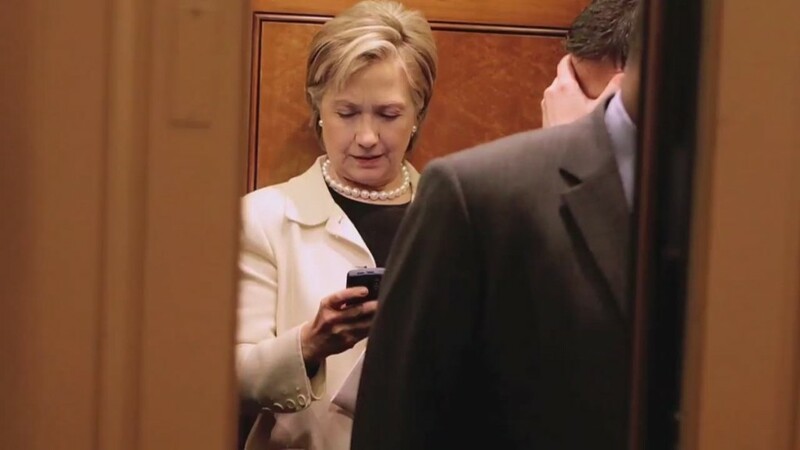 Clinton campaign spokesperson Brian Fallon accused the AP of cherrypicking "a limited subset" of data to give "a distorted portrayal of how often she crossed paths with individuals connected to charitable donations to the Clinton Foundation." On Twitter, he hit the AP for failing to correct its breaking news alert, which he called "100 percent factually inaccurate." In a statement, AP spokesperson Paul Colford said his organization had been "transparent in how it has reported this story," and that it would continue to examine Clinton's schedules as they became available. "The Associated Press' reporting relied on publicly available data provided by the State Department about Hillary Clinton's meetings, phone calls and emails, cross-referenced against donor information provided by the Clinton Foundation and its related charities on its websites," Colford wrote. Meanwhile, other news organizations pilloried the AP's report. The Washington Post Fact-Checker wrote that there were "many more nuanced and important details in the story that are being misrepresented — by the AP's own promotional tweet, and by Trump." Vox's Matthew Yglesias was more direct: "The AP's big exposé on Hillary meeting with Clinton Foundation donors is a mess," his headline read. Boardman argued that the story itself "was not nearly so flawed as Yglesias and others have charged." "The AP reporters made clear they found no smoking-gun quid pro quo. And Clinton defenders' claim that 'there is no story' is absurd; of course it is worth investigating and explaining the relationship between Secretary Clinton and the Foundation, and how that relationship worked while she was at State," he said. "If anything," Boardman continued, "the AP story could have used far more exploration of the inherent ethical issues here, and of the notion that whether or not Clinton gave extraordinary help to Foundation donors, the potential for accusations of that was probably reason enough to avoid such meetings altogether."